On February 9, 2019, Canyon Lake Rotary will celebrate our 11th Romantic Rendezvous. The proceeds from Romantic Rendezvous help us fund four-year scholarships to deserving high school graduates. 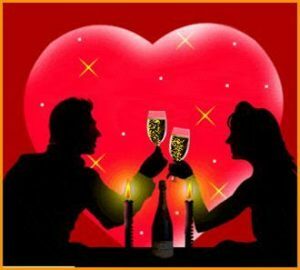 We are delighted to offer you and your Valentine a special invitation to be a part of this special evening. Dinner features reserved seating and your choice of entrée. Drinks and dessert are included. After dinner, the Almost Patsy Cline Band will play until your feet fall off. You can choose to celebrate with friends, and reserve a table of eight of 10. You will be a part of something special, with opportunities to purchase unique silent auction items and luxurious live auction items. All the while, helping a needy student through college. Please join us for a fun evening of dinner, dancing and as a bonus, you help us support worthwhile causes in the Canyon Lake area. The main thrust of our club is supporting young people so they can afford to attend college. A $1,500 scholarship per semester during their undergraduate degree program helps them succeed. We are a small club, but do make a difference with your help. This event is sold out, but please feel free to make a tax deductible donation to our foundation.